Balance Transfer Limits - What's the Maximum Balance Transfer? Home » Financial Education » What’s the Maximum Balance Transfer You Can Do? This article was last updated Nov 07, 2018, but some terms and conditions may have changed or are no longer available. For the most accurate and up to date information please consult the terms and conditions found on the issuer website. Many credit cards come with a balance transfer option you can use to consolidating credit card debt, which can allow you to take advantage of a lower interest rate, keep bill collectors off your back or free up money for large purchases. How much you can transfer depends on the issuer. Some card issuers allow you to transfer any balance amount to it as long as that amount is smaller than your available credit limit. But you may not necessarily be able to transfer an amount exactly equal to your card limit if your card charges a balance transfer fee or the card Issuer sets percentage limits on the amount you can transfer. For example, let’s say your card has $10,000 in available credit. If the card charges a typical balance transfer fee of 3% to 5%, you couldn’t transfer exactly $10,000 — it that would throw you over the limit by $300 or $500. If your card issuer has a percentage limit of 75% of your available balance, you will only be able to transfer $7,500 — not the entire $10,000 balance — from the other card. Two of the three cards reviewed below allow you to transfer your entire credit limit, while the third allows you to transfer 95%, all minus the balance transfer fees. Consider the number of balance transfers you can do in a month. Some credit card providers set limits to this as a security measure for protection against identity theft. They don’t want someone else transferring all their debts to your account. You will need to contact your credit card company to find out how many transfers you can do and how much of your credit limit you can transfer. Another thing to consider is the current status of your credit. You’re much more likely to qualify for a balance transfer card if you have good to excellent credit. Card companies tend to avoid approving intro balance transfer offers to those with poor or bad credit, seeing them as too risky. We’ll outline the benefits and pitfalls that come with executing a balance transfer. We’ll also share three cards that offer generous intro balance transfer APR rates for your consideration. This $0* annual fee card is as simple as its name because it doesn’t come with a sign-up bonus or rewards. But it’s the one to have if you’re looking for one with a long balance transfer intro rate. The introductory APR is 0%* for 21 months on Balance Transfers*, then 16.24% - 26.24%* (Variable) APR. 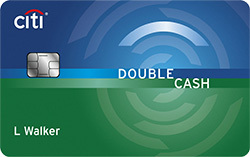 The balance transfer fee for the card is 5% of each balance transfer; $5 minimum. It offers a purchase intro APR of 0%* for 12 months on Purchases*. If you don’t pay off your card balance by the time the intro rate ends, you’ll start paying the 16.24% - 26.24%* (Variable) APR. It comes with Citi® Price Rewind and exclusive entertainment access with Citi® Private Pass®. 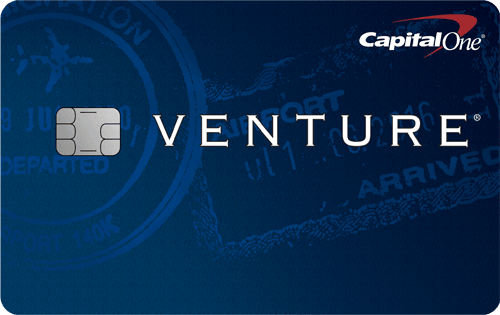 Check out our review of the Citi Simplicity® Card - No Late Fees Ever. This $0 annual fee card has a balance transfer intro rate of 0% for 18 months APR and a 3% balance transfer fee. The purchase intro rate is 0% for 6 months APR. After the intro APR expires, the balance transfer rate goes to 14.24% - 25.24% Variable APR, while the purchase rate goes to 14.24% - 25.24% Variable APR. 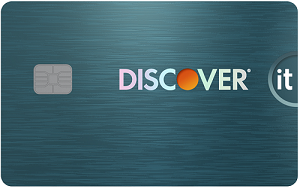 Discover allows up to 95% of a card’s credit line for a balance transfer, minus the balance transfer fee. Excellent/Good credit is needed to get this card. What this card has that the other two on this list don’t is a sign-up bonus and a way to earn rewards on purchases. Note, transfering a balance does not earn rewards. Discover will automatically match all the cash back you earn at the end of your first year. * Earn 5% cash back at different places each quarter like gas stations, grocery stores, restaurants, Amazon.com and more up to the quarterly maximum, each time you activate, 1% unlimited cash back on all other purchases - automatically. The current quarterly 5% cashback bonus is for Amazon.com and warehouse clubs. And this card also comes with free access to your FICO® Score. Check out our review of the Discover it® Balance Transfer. Let’s keep it real — this is a basic $0 annual fee bank credit card with no real perks or benefits except for free FICO® Score access. But what makes this card shine is its good intro balance transfer rate, at 0% Intro APR for 18 billing cycles for any balance transfers made in the first 60 days, then 15.24% - 25.24% Variable APR. It also comes with an intro purchase rate of 0% Introductory APR on purchases for 18 billing cycles, then 15.24% - 25.24% Variable APR. You’ll pay a balance transfer fee of Either $10 or 3% of the amount of each transaction, whichever is greater. It’s waived if you make a transfer within the first 60 days of opening your card account. When it comes to the BankAmericard® credit card, the balance transfer amount could go up to the available credit on the account, according to a company spokesperson. Excellent/Good credit is needed to apply for this card. But the good news with it is you won’t pay a penalty APR if your monthly payment is late. Terms apply. 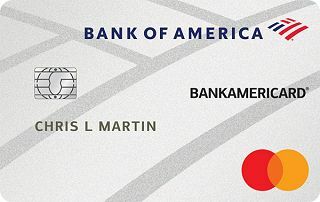 Check out our review of the BankAmericard® credit card. It’s important to understand all of the fees and deadlines that come with a balance transfer before getting the card. The ideal card gives you at least 12 months — or even more — for a 0% intro APR for a balance transfer. It also allows you to transfer the maximum amount, right up to your credit limit minus fees, on the card. Check out our roundup of the best balance transfer cards. Why Isn’t American Express Accepted Everywhere?